There’s nothing worse than having your employees coming into work tired and unable to focus. Whether because of stress or poorly planned sleep schedules, fatigued employees are not only a detriment to themselves, but also to your entire company. While you don’t want your business to suffer, you also always just want your employees to be healthy and happy. But certain things are out of your control, such as when and how long your team is sleeping—that is, until now. As with most things, there is now technology available to help remedy this situation. Encourage your employees to sleep better and put restfulness first by telling them about iOS’ Night Shift. A part of the MacOS Sierra 10.12.4 update, Night Shift changes the display from blue to yellow. This is one of the keys to aiding sleep because blue light disturbs sleep rhythms and patterns. So, if your employees won’t put down the screens, this is a viable alternative. Luckily, Night Shift is very easy to set up for your sleep-deprived employees. They simply need to visit the “Display” section of System Preferences and go from there. They can also set it up through Siri or the Notification Center. It’s basically a one-click task. So, what else is there to know about this new operating system feature? You don’t realize how much just the light of a screen can affect your sleep. Even if you intend to go to sleep at a normal hour, your computer or phone can completely ruin any chance of a restful night of sleep without you even realizing it. That’s why the OS’s new feature is so crucial and important. If you’re going to look at your screen before you decide to call it a night, you need a feature like Night Shift, which will make it easier on your eyes and, therefore, easier to sleep. This easy change will make all the difference for you and your employees. It only takes a few days to get adjusted to the new screen tone. If you’re used to the regular glow of a screen, the yellow glow of this macOS Sierra feature might take a couple days to adjust to. Luckily, you should be used to it and well-rested within a few days, plus you can gradually adjust the screen change. You don’t have to go straight from blue to yellow in one night. Simply use the “Less Warm” to “More Warm” feature until you get used to the full-screen color change. You can’t force your employees to sleep, but you can encourage them to change habits that might be affecting their sleep schedules. 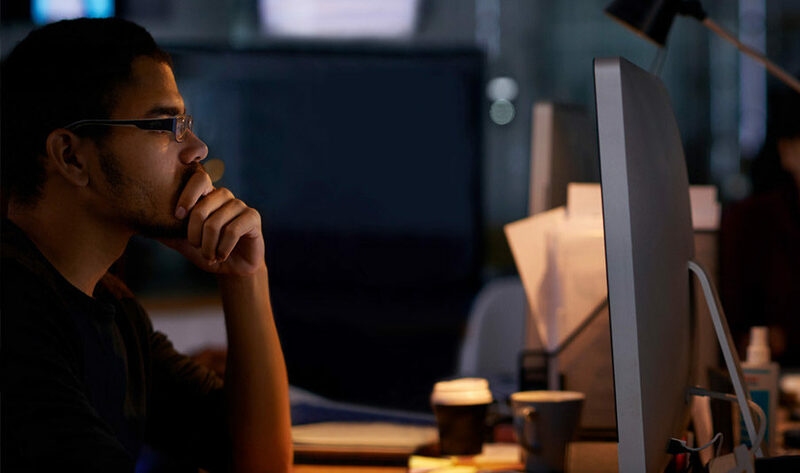 MacOS Sierra’s Night Shift could be just the feature they need to stop the bad habit of ruining their sleep simply that staring at a bright screen before bed gives them. Since it would be very hard to convince your team to simply put down the phone, tablet or computer before bed, it might be plausible to convince them to adjust their screen color.